Each week of the legislative session, we’ll send you a digest of the latest water policy news and actions you can take. At the top of each e-news, you’ll find the easy action of the week, it only takes a few minutes and it is the most urgent call to action. This week, we’re asking you to contact members of the House Agriculture and Natural Resources Committee and ask them to vote NO on HB4182, the House version of the state parks logging bill. Easy Action: Click here to send a letter to members of the Agriculture and Natural Resources Committee. HB4182, the house version of the bill to open up state parks to commercial logging, could be considered by the House Agriculture and Natural Resources Committee on Tuesday morning. As they are currently considering whether to take up the bill, now is the time to let these committee members know that commercial logging does not belong in our state parks. Our partner, WV Environmental Council, has put in a request for a public hearing on the bill.We’ll alert you as soon as the public hearing on HB4182 is scheduled. In the meantime, send a letter! There’s no doubt your letters and calls are making an impact in stalling the bill! Let’s keep the pressure on! You can learn more about HB4182 and SB270 by visiting our resources page. There you’ll find a FAQ, a summary of alternative ways to generate funds for state park maintenance, and articles on how commercial logging will harm forest ecosystems and wildlife. 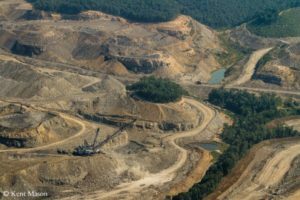 Thanks to input from our Water Policy Workgroup and hustle of the WV Environmental Council’s lobby team, the Surface Mining Rule was modestly improved by the Senate. An amendment by Senators Romano, Trump and Smith intends to tighten up financial assurance for mining companies’ long term pollution treatment responsibilities. However, our overall concerns about enforcement with water quality standards remain. The rule shifts accountability to meet water quality standards from mining companies to the state. The WVDEP’s record on enforcing water quality standards of mining operations gives little confidence that this plan will work. The rule, which is now bundled in SB163, will be debated today in the House Judiciary Committee. We have our expert there and will update you on what happens. This week, we’ve been working on SB290, a bill that would allow for “net limits” in permits and lower “stormwater benchmarks”. 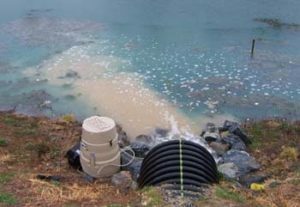 Stormwater benchmarks have an important role in identifying problems with industrial facilities control of polluted run-off. A new version of this bill is being drafted, and we have been representing you at the negotiating table. These are highly technical aspects of our Water Pollution Control Act and we are taking a “handle with care” approach to make sure we are not further endangering our waters. We’ll provide you our full analysis of the amended bill once it is presented to the Senate Judiciary Committee. Does the WVDEP Need to Replace the “Environmental Advocate” with the “Industry Advocate”? SB410 would establish a new position within the WV Department of Environmental Protection – the industry advocate. It would pull funding from other programs of the DEP to staff the position, office and support staff. The bill’s sponsors are Senators Smith, Azinger, Clements and Sypolt. On the House side, HB2909 would abolish the office of the environmental advocate within DEP. With your help, we were able to keep this bill from advancing last year. Neither bill has seen any action yet, but we’re keeping a close eye on it and will keep you informed.